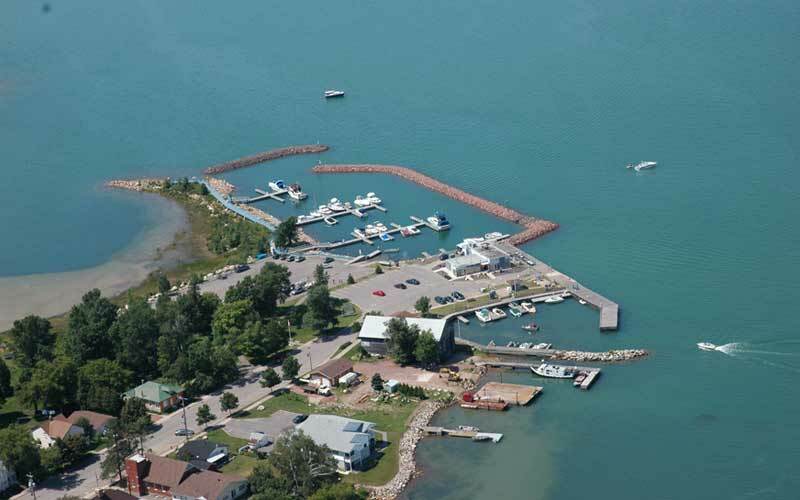 Richards Landing Municipal Marina is a full service marina, open 7 days a week during boating season. Services include fuel, shower and laundry facilities. The slips in the original East Basin have dockside power and water, shoreline walkway and grassy area for picnics. The West Basin has seasonal and transient slips with dockside power and water and controlled access for privacy. Located a the marina is a restaurant and walking distance to shops and local services. Bicycles available for boaters’ use. Boating Season: May long weekend through to Canadian Thanksgiving weekend. Office hours throughout season are 8 am – 6 pm. Contact the Marina Office at 705-246-0254, on VHF channel 68 during the season. Off season inquiries can be made at the Richards Landing Municipal Office.